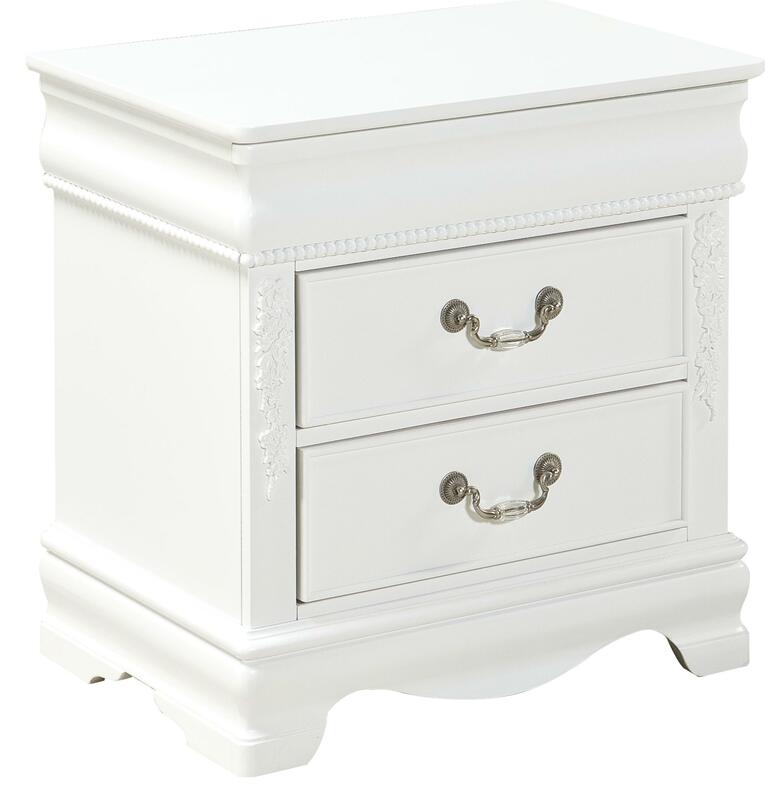 Accent your youth's bedside with the Jessica Night Stand. 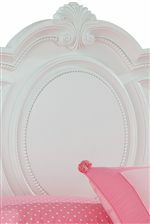 Perfect for accenting a bedroom space, it is also full of pretty details to visually please. It is crafted from solid hardwood and quality wood products with a clean paint finish. Featuring beaded pearl trim and beautiful floral ornaments, it has a lot of beautiful design detailing. Two drawers provide convenient storage space for bedside items and accessories like reading glasses, night lights, and more. Accented with scrolled hardware in a brushed nickel color, the Jessica Nightstand lends a lovely accent to any bedroom. 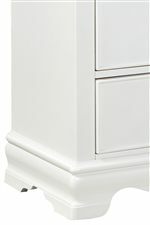 The Jessica Nightstand with 2 Drawers by Standard Furniture at Miskelly Furniture in the Jackson, Pearl, Madison, Ridgeland, Flowood Mississippi area. Product availability may vary. Contact us for the most current availability on this product. Handles & Hardware Scrolled hardware in a brushed nickel color. The Jessica Collection is a lovely youth bedroom grouping for your home. It features a number of storage pieces that are functional and beautifully designed. Crafted from solid hardwood and quality wood products with a clean white or silver paint finish, case pieces featuring beaded pearl trim and beautiful floral ornaments for a visually impressive look and feel. 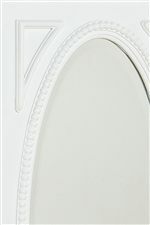 Oval shapes are used throughout in mirrors and the grandly-scaled headboard. Accented with scrolled hardware in a brushed nickel color, the Jessica collections adds a delightful Victorian cottage touch to your youth's bedroom space. The Jessica collection is a great option if you are looking for Traditional furniture in the Jackson, Pearl, Madison, Ridgeland, Flowood Mississippi area. Browse other items in the Jessica collection from Miskelly Furniture in the Jackson, Pearl, Madison, Ridgeland, Flowood Mississippi area.